Founded in 1995, VELA Battery Technology is an integrated stored electrical energy solutions supplier, dedicating to providing lead-acid batteries for Automotive applications, Motorcycle applications and Motive Power worldwide. With the goal of become a global power supplier, VBT commit itself to satisfying demands of clients involved in electronics and corresponding industries by operating with 3 battery manufacturing plants throughout China today. 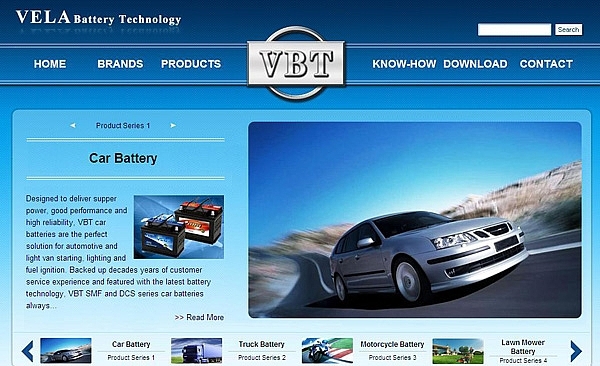 Through decades years of continuously technology innovations, improvement of production process and customer service, VBT gained its worldwide reputation as a reliable partner in the battery industry.